Registration must be done by the registration form. The payment can be made by credit card or by bank transfer. Practical information on how to proceed for payment and an invoice are automatically sent to you by email after you have registered on the registration platform. Purchase orders should be sent to Alain Duhamel. A certificate of attendance will be given when you arrive to JdS. Warning!We would be very grateful to the participants if they can inform us of any modification regarding their registration options. 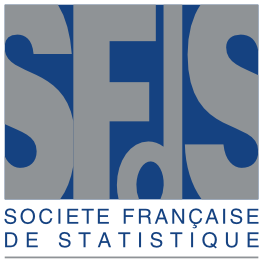 This can be done either directly on the registration form or by sending an email to jds2015@sfds.asso.fr. In particular, please inform us about any modification of your participation to the conference diner. drinks and snacks served during the coffee breaks. Participants can eat lunch at the campus restaurant at a fixed price of 15€ per meal which is added to the registration fees whatever the tarif. Lunches will be organized at the university restaurant Le Pariselle located on the campus . To order vegetarian meal, please inform us by email at: jds2015@sfds.asso.fr. If you choose an outdor social activity, wednesday lunch will be a takeaway lunch. this fee includes participation to social activities. before May 1, 2015 (100 € will be retained). No refunds will be granted after this date.